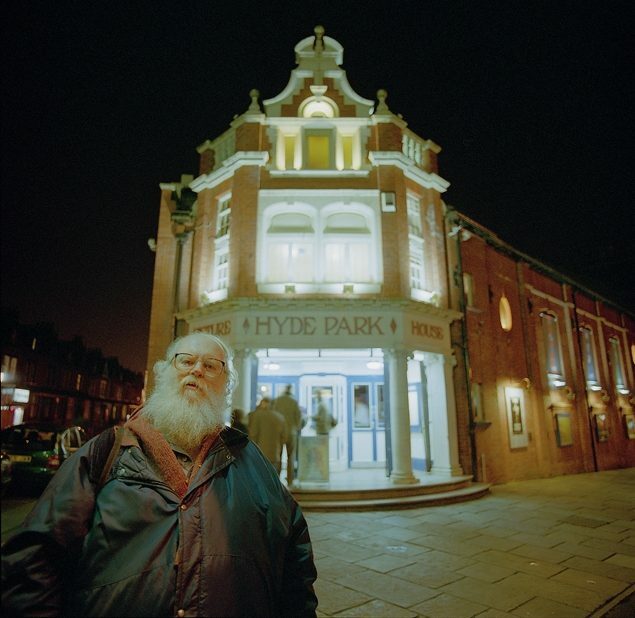 So, finally, one of the most impressive and distinctive European film-makers has departed this terrestrial cinema. One imagines she has gone to another great auditorium where cancer is long gone, where abortions are unnecessary, everyone is a good Samaritan, no-one gleans either in the streets or in the fields and sun-drenched beaches stretch as far as the eye can see whilst cats purr in undisturbed contentment. She will leave an obvious void on all the screens in discriminating cinemas. I have yet to see everything that she authored but I enjoyed regular treats at the cinema over the years. My first look at a Varda film was of a 16mm print of Cleo from 5 to 7 (Cléo de 5 à 7, 1962) at the local film society. The programme was regularly enlivened by the films of the several European new waves, but this was still a distinctive voice. It was only intermittently that I encountered the documentary shorts that followed. One Sings, the Other Doesn’t (L’une chante l’autre pas, 1977) clearly engaged with actual political struggles in France. And Vagabond (Sans toit ni loi, 1985) confronted a deeply downbeat world with real humanity. Jacquot de Nantes (1991) had a rich sense both of the 1930s and of Varda’s fellow film-maker, Jacques Demy. With The Gleaners & I (Les glaneurs et la glaneuse, 2000) one found the combined sympathy and empathy for ordinary people that runs through her career. The Beaches of Agnès (Les plages d’Agnès, 2008) was rich in the playfulness that seemed an increasing mood in her recent films. Faces Places (Visages villages, 2017), a journey with photographer J.R., reminds one of her early art work as a photographer, then in theatre rather than as here in rural France. Varda created a real impression in her early work. Her reputation then fluctuated up and down but in recent years she has acquired a magisterial status. This was fortunate in that, with foreign language films increasingly difficult to seek out, her titles did receive national [if limited] distribution in Britain. Her final film, Varda by Agnès (Varda par Agnès – Causerie, 2019) was produced as a TV series but is available as a theatrical title. Revisiting her career and her films it provides a worthy testament to the fifty years and fifty odd films she has left us. Here’s a film that’s lovely to look at and which features an ear-worm song cleverly stitched into the score by Alfred Newman. But in some ways it’s the production itself and the stories behind the script which make it a significant film. Let’s take the production first. It was released in August 1955 as one of the early Fox ‘CinemaScope and DeLuxe Color’ films. At this point, ‘Scope prints were still being released in their original 2.55:1 aspect ratio with a separate stereo soundtrack. The film must have looked and sounded fantastic – as long as you were in a big and refurbished Fox theatre. Director Henry King was nearly 70 when the film was released. He was arguably the most reliable director at 20th Century Fox, responsible for major features for nearly the whole of the studio period and completing over 100 films in his long career. King’s forte was literary adaptations but as soon as he finished work on this film, he started on Carousel (1956). Love Is a Many-Splendored Thing is indeed a literary adaptation of the novel of the same title (but with British spelling) by Han Suyin. It is set in Hong in 1949 as the Chinese Civil War is coming to an end and the Korean War is about to begin. One of the most striking aspects of the production is that much of the film was shot on location in Hong Kong, offering some amazing coverage of the city, its waterfront and the hills above. The shooting of these scenes was the responsibility of Otto Lang who appears to have worked as a 2nd-unit director on several Fox productions. As far as I’m aware Leon Shamroy, like King, a Fox stalwart throughout the studio period, shot the whole film including the Hong Kong and California sequences (and the studio-set material). One of the concerns about early ‘Scope was the suggestion that the need for more light by the anamorphic lens would reduce the depth of field available and that the difficulties of composition would mean a reliance on relatively static medium shots. In this film Shamroy seems to deploy many long shots on the Hong Kong locations and even to some extent in the studio interiors. This is what makes the film so spectacular and a perfect advertisement for what ‘Scope could do. In many scenes he composes using the full width of the screen and includes several charcters in medium long shot (MLS). The story is relatively simple. Han Suyin is a doctor specialising in paediatric medicine in a Hong Kong hospital. She’s a widow with an extended family in Chungking. She meets and falls in love with Mark Elliott, an American war correspondent. He is married but separated from his wife who lives in Singapore. Mark struggles to get a divorce and Suyin goes back to her family to get their approval for remarriage. With war still in China and coming to Korea, Mark could be sent to cover action at any point. 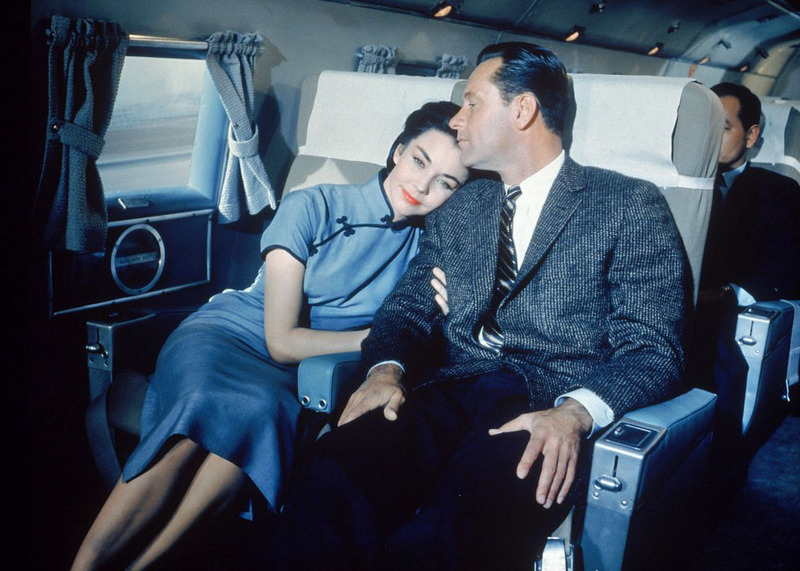 Though they love each other Mark and Suyin know that because she is ‘Eurasian’ (that’s the term used in the film’ for a person with a European and an Asian parent) they are likely to face prejudice whether they are in East or West. Suyin faces prejudice at home in Chungking and in Hong Kong from the racist wife of the hospital’s funder. The story behind the script is that it is highly auto-biographical. Surprisingly though, Han Suyin (1916-2012) became a supporter of the People’s Republic of China, even though her first husband died in 1947 fighting for the Nationalist Kuomintang. In reality she fell in love with an Australian journalist rather than an American. Presumably she still had some control over the material and it’s interesting to find a Cold War film (with memories of Korea only a few years earlier) in which the Chinese CP is not completely denounced. Suyin’s family in Chungking reming me a little of the household in Springtime in a Small Town (China 1948 and 2002) – much larger, but clearly affluent despite the Civil War. In the hospital in Hong Kong, one of the senior doctors who admires Suyin urges her to return to China and offer her services to the new government. The real Han Suyin did return to China and also later wrote a novel in support of the Chinese-led rebellion against colonial rule in Malaya (she had then married a British officer in Malaya). The casting decisions on this production will prompt comment today. William Holden plays Mark Elliott and he’s always reliable actor. He seems to have caused a stir in Hong Kong since the fandom that he provoked is a feature of the classic Hong Kong film Comrades: Almost a Love Story (HK 1996) in which Aunt Rosie one of the older female characters claims to have spent the day with Holden in his hotel during the shoot of Love Is a Many-Splendored Thing. The same actor who plays Aunt Rosie (Irene Tsu) supposedly had an uncredited part in William Holden’s other (British) picture made in Hong Kong, The World of Suzie Wong (1961). The controversial casting might now be seen as Jennifer Jones to play Han Suyin. As a bi-racial character I’m not sure how that casting would be seen today. Is it a case of ‘yellow-face’ casting – a Caucasian actor playing a bi-racial character? Chinese actors, including Chinese-American actors were severely under-represented in Studio Hollywood films. Jennifer Jones had form in this regard. In 1946 she starred opposite Gregory Peck and Joseph Cotten in (her husband) David O. Selznick’s Duel in the Sun (popularly known as ‘Lust in the Dust’) in which she played a bi-racial character as a ‘mestiza‘ – with Caucasian and Native-American parents. Jennifer Jones is convincingly made-up and has the poise to carry the costumes as Han Suyin – but of course that in no way detracts from the arguments about how such casting decisions should be undertaken today. Both Jones and Holden are convincing in their roles and Love Is a Many-Splendored Thing is a romance well worth watching. This is the most recent documentary from Frederick Wiseman. Since Titticut Follies in 1967 Wiseman has been a prolific and central figure in observational documentary: after all these years he is almost the definition of films that offer a dispassionate but detailed portrait, mainly of institutions. In this long film, 197 minutes, he examines both the famous landmark in Bryant Park on 5th Avenue (a key setting in the successful The Day After Tomorrow, 2004) and a number of the other libraries in the New York public network. I have been fortunate enough to visit the iconic central building and one of the pleasures of the film was how Wiseman explores both the parts I have seen and the less seen staff and machinery behind this. The film opens with great style as we observe an event in the libraries main foyer; Richard Dawkins giving a lunch-time talk with all his eloquence and commitment. We see a number of such events, some like this less formal, and others in one of the library auditoria with a more formal presentation and a large audience. I particularly enjoyed the session of an interview with Elvis Costello. And we see smaller events, more open, at branch libraries. The most fascinating was a young black woman explaining the ‘southern ideology’ which criticised Northern capitalism from a right-wing standpoint; not quite as formidable as that by Karl Marx but an important component in the struggle over slavery. There are concert performances in auditoria but also less formal presentations and the odd amateur improvisation; not a part of the official library. Title cards identify performers and venues for the viewer. Wiseman tends to wander around an institution and he records and presents his observations without comment. Seemingly these sequences are laid out in arbitrary manner. So along with the events we gets shots of the staff, both at the main library and at branches, occupied in their tasks, frequently involving library members and members of the public. One is a telephone enquiry service and we see and hear as an operator checks the word ‘unicorn’ on a computer and answers questions by a caller. This is one of those moments of sympathetic humour found in Wiseman’s films. We see staff checking in and out books and other library resources. Behind the scenes we see a group of male workers at a conveyor belt to sort books for return to their branches. Their discussions and the sequence of library staff and activity demonstrate how much wider than printed books are the resources of a modern library. British users of libraries will recognise this and both the parallels and differences in the library system. Certainly the New York Public Library network appears to have avoided the savage cutbacks experienced in Britain. Whilst Wiseman presentation seems an ad hoc portrait of the public library the editing, in particular, provides a less formal and slightly ambiguous commentary. There are frequent touches of irony as Wiseman’s camera moves from one activity to another. One notable counterpoint follows a meeting of the management discussing (with liberalism) vagrancy and the problem of the libraries being used as a place of sleep rather than activity. Then we see a sleeping African-American user at a desk. This points up, (as do other parallels), that the management is also uniformly Caucasian. As the film passes from branch library to branch library we get shots of New York streets and intersections. New Yorkers will probably place buildings in this way: less likely for British viewers. For me these felt rather more like the ‘pillow shots’ that fill films by Ozu Yasujiro, though Wiseman only provides natural sound. The film is long but absorbing. However, I did find the last twenty minutes or so palled. This was not so much due to the length but to the repetitions. At the end we visit another management meeting, I forget the topic. Then we see a meeting of African-American women at a branch (Queens I think). They all talk volubly but briefly. The lengthy contribution comes from an African-American director of the Schomburg Center for Research and Black Culture. There follows a formal event in the main auditorium which fits into Pierre Bourdieu’s ideas regarding ‘aesthetic dispositions’. There is clearly some irony intended here. But by this stage I felt we had had more of such events and of managers than of ordinary users and workers. I have not seen National Gallery (2014) again but my memory is that film had more of such moments; it certainly emphasised the ironic contrasts between British and North American staff at that institution. In fact we do not get a sequence where the ordinary workers in the public library discuss issues in the space offered repeatedly to managers. Nor do we see any Trade Union activity. I wondered if there as not an occasion where the workers of the conveyor belt seen earlier – the most repetitious and alienating activity in the film – had a gathering or talk. The managers are very liberal but by the end I felt that their behaviour was affected by their consciousness of the camera. I did not feel this with the ordinary staff. From one angle this is true but I did not get a sense of what the pressures of budgets, routines , public demand and the compulsion of wage labour exerted on the staff/workers in the network. I suspect that they are there. Certainly one gets a sense of this in some of the other Wiseman documentaries. 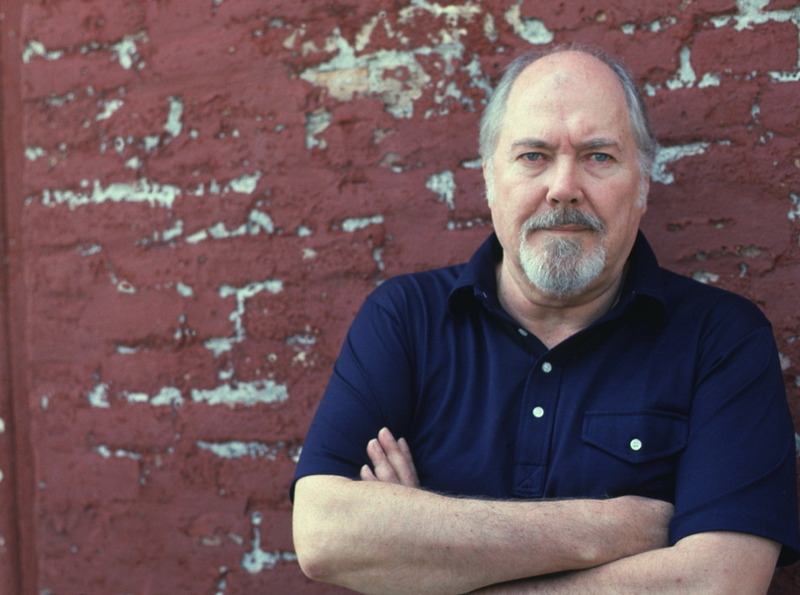 Robert Altman died in November 2006 aged 81. His last film, A Prairie Home Companion reached the UK early in 2007 and I presented a ‘1 hour Introduction to Altman’s films’ at Cornerhouse in Manchester. I’m wondering how Altman is remembered now and what younger audiences might make of his films (if they ever get the chance to see them). Here are the notes I produced for the intro, slightly updated in places and with a couple of final paragraphs added. • for his working relationships with actors. There are other reasons as well, not least that he has left us a large body of work that includes some of the most interesting and enjoyable films of the period. Altman’s career spans film and television. It began in 1948 with a co-writing credit on Bodyguard, a B film noir directed by Richard Fleischer. But with no follow-up, in 1949 Altman moved into what might be termed ‘industrial film’ – documentaries and instructional films made for the Calvin Company of Kansas City, Altman’s home town, covering everything from basketball to How to Run a Filling Station (1953). In 1957 he made a teen exploitation picture, The Delinquents, for a local Kansas City cinema company and this received national distribution via United Artists. Altman followed this with The James Dean Story, a documentary based on still photographs and film extracts and made for Warner Brothers. But this didn’t prove to be Altman’s entry to Hollywood feature filmmaking. Instead he moved into television and for ten years worked on a wide variety of top shows including Alfred Hitchcock Presents, Whirlybirds, and Bonanza. When he did begin a Hollywood feature career in the late 1960s, Altman was already an accomplished filmmaker with an understanding of a range of production contexts and popular genres and plenty of experience of working with actors. However, his first two attempts to make it in Hollywood flopped with Countdown (1968) on which he fell out with Warner Bros. and That Cold Day in the Park (1969), an independent production that I haven’t seen but which sounds interesting. In the 1980s, a difficult period for any vaguely radical/liberal filmmaker, Altman turned to small independent films, adaptations of intimate stage plays and television work, including acclaimed ‘political’ work such as the Nixon play Secret Honor (1984). He returned to relative commercial success with The Player (1992) and Short Cuts (1993) and in his 70s continued to produce films throughout the decade, scoring one of his biggest commercial hits with one of his few ventures abroad in Gosford Park (UK 2001).
. . . His films are curious, uneven, intermittently remarkable hybrids; the work of an American director who would like to be ‘European’, expressing himself not through the elaborate intermediaries of convention and genre but directly, through personal style and idiosyncratic choice of material . . . In general, one can recognise an Altman film as one can an Antonioni or Fellini, from its stylistic self-assertion; and The Long Goodbye, ultimately, has more in common with Antonioni’s Blow-Up than with The Big Sleep. After 1980, Altman tended to fall off the critical radar. Ironically, the moment in 1975 when Nashville received such a tumultuous reception from Pauline Kael, then doyenne of American critics, was also the time of the success of Jaws. By the 1980s, the only American ‘auteurs’ who generated much interest were those who stuck more closely to the Hollywood ‘rules’ decreeing a strong storyline and a clear resolution of the narrative, something Altman never seems to have been particularly keen to pursue. ‘Rambling’ and ‘ramshackle’ are some of the kinder terms used to describe his narratives and the Altman ‘hero’ was often a marginal figure, a romantic ‘loser’ like McCabe or Marlowe. Altman’s later films also suffer from the reception for an ‘old man’s films’ in a youth-orientated Hollywood world. More intriguing perhaps is the reception of Altman’s films in gender terms. Was he a ‘proto-feminist’ (3 Women) or a misogynist (Dr T and His Women – written by Anne Rapp)? And perhaps allied to this, were his films too ‘cold and calculating’, looking down on hapless figures – or warm and comfortable. Probably they were all of these things at different times. I’ll explore some of these ideas with references to some of Altman’s lesser-known films, chosen to represent different periods in his career and different kinds of film. Based on the same novel as the 1949 Nicholas Ray picture, They Drive By Night, is one of Altman’s genre explorations. Three escaped convicts go on a bank-robbing spree in the 1930s, supported by various relatives in Mississippi. The youngest of the trio, Bowie (Keith Carradine) falls in love with Keechie (Shelley Duvall). The story is similar to Bonnie and Clyde (1967) and the cycles of depression era rural ‘outlaw’ films set in the 1930s which were produced in the 1950s, 60s and 70s. However, Altman introduced several changes in style. Beautifully shot on location, there is a strong sense of surface realism, contrasted with a soundtrack commentary of contemporary radio programmes. Important events often happen off screen (relatively few of the bank robberies are shown and then sometimes in long shot) and the editing is elliptical. The film thus becomes more romantic melodrama than crime action. This was one of the films that Robin Wood selected as demonstrating Altman’s skill with zooms and long lenses. One of Altman’s puzzling art films, 3 Women is glorious to look at, but offers a rather abrupt conclusion to an intriguing narrative. Pinky (Sissy Spacek) is a naïve young woman who lands up in a job at a spa for the elderly in the Californian desert. She is taken under the wing of Millie (Shelley Duvall) a self-deluding character self-taught via magazines. The ‘third woman’ is Willie, a pregnant artist who with her drunken husband runs the Dodge City Saloon and the Purple Sage Apartments where Millie lives. The idea for 3 Women supposedly came to Altman in a dream. Modernist in narrative terms (and reminiscent of films like Losey’s The Servant (UK 1963)), 3 Women is most notable for its colour scheme, cinematography and use of locations and set. These link the film closely to the widescreen compositions and choreography of The Long Goodbye (Altman 1973). Overall the film divided audiences. Some fans thought it one of Altman’s best, others loathed it – this split has often arisen within audiences for Altman’s films. 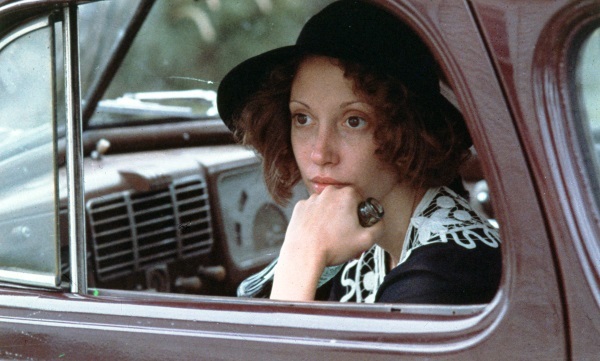 Shelley Duvall became an Altman regular in the 1970s and her unusual but attractive features seem to work as a visual statement about Altman’s world. During the early 1980s Altman turned to ‘filmed plays’, still intensely cinematic despite the restricted settings. Fool For Love was written by Sam Shepard who also appears as Eddie, the cowboy who turns up at the motel on the edge of the Mojave Desert run by May (Kim Basinger). The two obviously know each other, but the audience is made to wait to discover what it is that forces them together and pulls them apart. 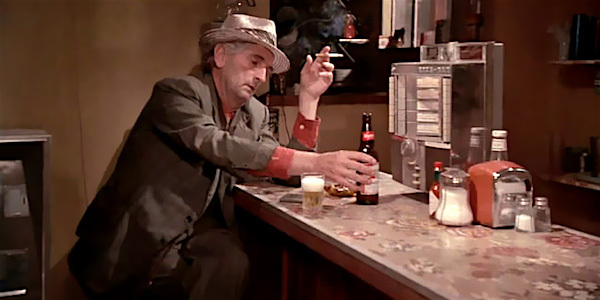 In the background is May’s father (Harry Dean Stanton) and his presence and the setting and story elements led some critics to link Fool For Love to Wim Wenders’ Paris, Texas (1984). Although in structural terms the film works like a stage play, it clearly references both the Western film genre (classical and contemporary) and the melodrama about marginal communities, both of which were familiar Altman subjects. The film is also notable for its use of a country music soundtrack – a collection of songs by Sandy Rogers and two from Waylon Jennings. Based on a script by Anne Rapp, Cookie’s Fortune is perhaps Altman’s warmest and most enjoyable film (depending on taste). Set in the kind of small Southern town that Altman might have remembered from his childhood, this could be argued to represent one of the ‘ensemble films’ for which Altman is now perhaps best known. Certainly it has a starry cast led by Glenn Close and it deals with a host of relationships and sub-plots. But where the more famous ensemble films such as Nashville (1975), A Wedding (1978), The Player (1992) etc. are often quite rambling and sometimes ‘cold’ views of relationships in a particular institutional setting, Cookie’s Fortune is slow and ‘mellow’, a comedy melodrama. ‘Cookie’ is a widow sitting in a large house and wanting to be with her dead husband. She commits suicide in a manner which is construed as suspicious and several family members become police suspects for murder. Altman plays with a range of ‘Southern types’. It has been suggested that the languid pace of the film derives from the lazy blues that feature at various times. Music – jazz, country, blues – is essential in Altman’s films and it is probably the single most important consistent element across the body of work. 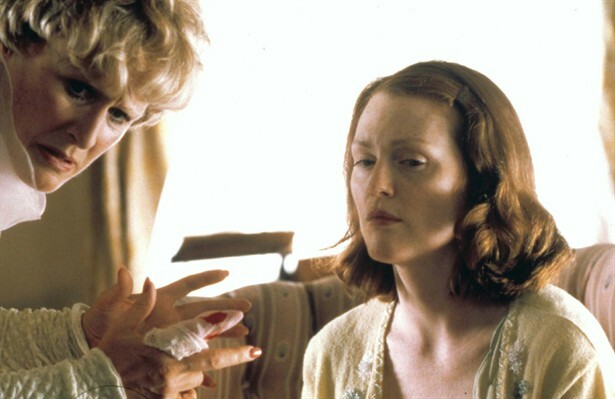 Ironically, the film which perhaps most represents Altman’s personal memories of music, Kansas City (1996), is the one which generated the least critical or commercial interest. As part of my research into ballet films for work on Black Swan, I looked at this Robert Altman film. I remember its release – which I thought had not seen box-office success. I’d mentally bracketed it with Prêt-à-Porter from 1994, Altman’s earlier foray into the institutional world of high fashion. Stuffed with star names, that production failed very badly at the box office but The Company actually seems to have done quite well in some markets (though it must have struggled to recoup costs given a budget of $15 million). The Lumière database reveals that Altman had a strong following in Italy, France and Spain for several of his films, including this one. The other surprise was that I enjoyed the film and found its central premise as a feature film quite intriguing. The ‘company’ in question is the Joffrey Ballet company of Chicago, though I think it is always referred to as ‘the company’. The director of the company is based on one of the two real-life founders of the Joffrey, Gerald Arpino, played in inimical style by Malcolm McDowell. The production appears to have come about because of the efforts of the Canadian actor Neve Campbell, best known perhaps for her starring roles in the Scream franchise of horror films from the 1990s. Campbell, like Natalie Portman and Mila Kunis in Black Swan, had been at ballet school (National Ballet School of Canada) as a child, but as far as I can see had continued with dance much longer up until age 16. At 28, roughly the same age as Portman in Black Swan, she was still in training to a certain extent and spent two years working with the Joffrey dancers to become recognisable as a company dancer. In The Company, Campbell plays a dancer who gets her big chance and takes it. She also has a relationship with a young chef played by James Franco. So far, so conventional, but that’s where it stops, Altman plays down Campbell’s central role and creates a feature that is less a recognisable Hollywood narrative and more a drama-documentary about the work of the company. Most of the other characters in the film are either dancers (i.e. Joffrey dancers) or relatively unknown actors. Campbell worked with scriptwriter Barbara Turner and producer Christine Vachon of Killer Films for two years in preparation for the shoot. The narrative as such follows what happens to the company over a season, the high point of which is the performance of a modern ballet called ‘The Blue Snake’ which has been brought to the company by a top choreographer (and which Campbell had seen several years before in Canada). That’s it really. Instead of a ‘story arc’ in which we worry whether or not Ry (the Campbell character) will succeed in her part, Altman concentrates on the daily life of the company. The drama comes from the company’s collective response to budgetary constraints, injuries, new rehearsal techniques etc. The Campbell-Franco relationship is mixed well down and the only concession to conventional Hollywood drama is McDowell playing up his role. One of the disadvantages of this approach is that it is actually quite difficult to follow individual stories at all, especially watching on a small TV screen – how I wished I’d seen it on a big cinema screen! But this is the point, really. Altman wants us to see the company as a company – and it works. The USP of the film is arguably the cinematography directed by Andrew Dunn who worked with Altman on Gosford Park. 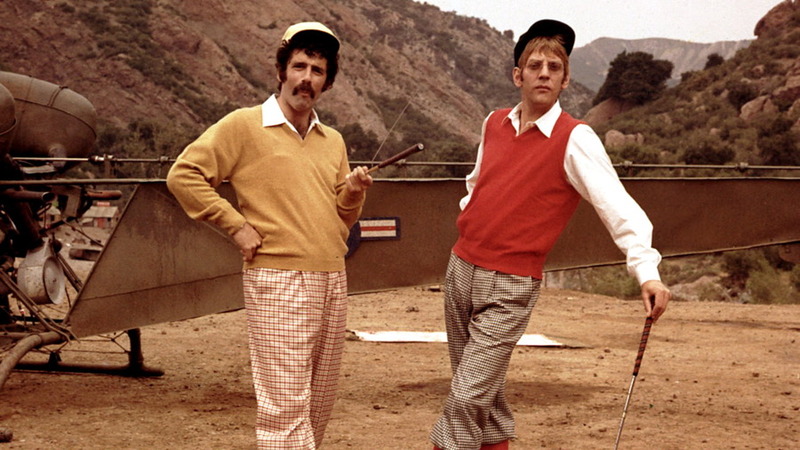 Working on HDCam, Altman and Dunn were able to use multiple cameras to shoot the dance sequences. This Guardian piece invites several leading figures from the UK ballet world to comment on the film – they are all negative about it. That’s quite understandable really, but they do say some interesting things. 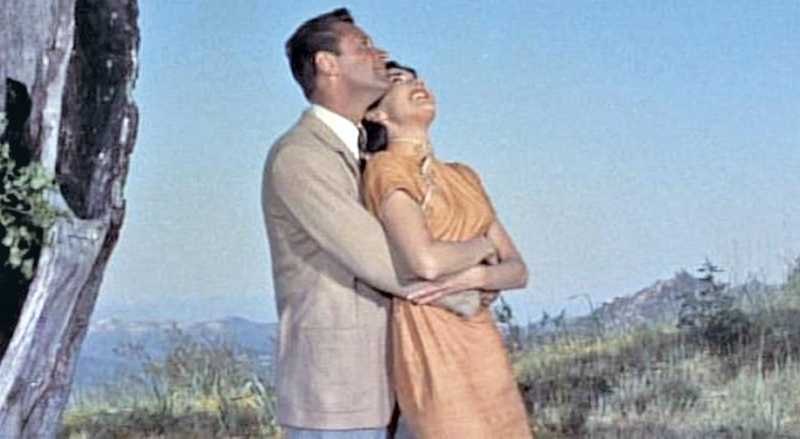 A couple of the commentators admit that there were moments when the film presented the kind of behaviour they recognised in themselves and were embarrassed by. None of them like the choreography. It’s hard to imagine a film which more perfectly says farewell to its creator. ‘A Prairie Home Companion’ was the title of Garrison Keillor’s radio show for Minnesota Public Radio which was widely syndicated up to 2016. Keillor himself wrote the screenplay for Altman’s film. The closing scenes almost seem to invite the director’s demise (he knew he was terminally ill when he made the film). Yet, what fun everyone appears to have in the process! 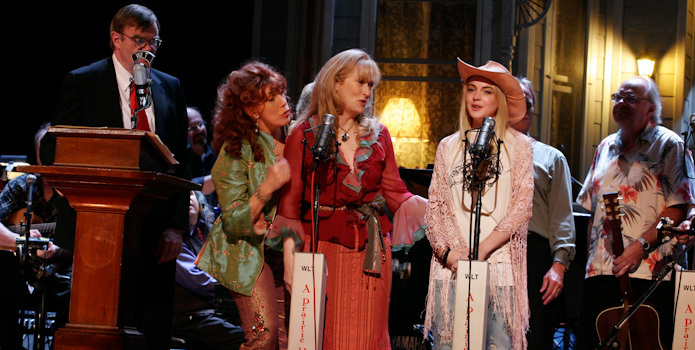 Meryl Streep appears to be enjoying herself immensely and the rest of the star-laden cast are similarly on top form. All the ingredients which audiences think are in some way ‘Altmanesque’ are in place. There is only the faintest glimmer of a plot. It is the last radio performance of the radio show and the ‘axeman’ (Tommy Lee Jones), who represents the company which wants to close down the theatre where the show is based, is due to arrive. There is every indication of ‘the end’ and we know that a sudden reprieve for the show is unlikely. That’s it really. Altman gleefully follows all the performers and backstage crew from the wings onto the stage and back. All have stories – and songs. Altman’s love of radio and sound is indulged to the hilt with live sound ‘effects’ becoming a comic performance in themselves and old-time country and gospel music convincingly and lovingly played. A quick glance at the comments on websites like the IMDB suggests that like every Altman film before it (40, not counting TV work), audiences love and loathe the film with equal passion. Film is a collaborative business and it is difficult to be ‘personal’ as a filmmaker, but Altman stuck to what he wanted to do, right to the end. There are Altman films I haven’t seen (mainly from the 1980s) and films I have every intention of returning to. I think I’ll remember and be intrigued by McCabe and Mrs Miller and The Long Goodbye most of all, for a host of reasons I hope to explore at some point. Robert Altman was for me the last link to the Hollywood that attracted me as a young person. Perhaps one day I’ll look at Popeye (1980), his attempt to explore an American myth. It flopped, much like Buffalo Bill and the Indians (1976), which I did see and would like to re-visit. Altman wasn’t afraid to undermine myths and challenge conventions. It would be great to think his kind of film was still being made amidst all the superheroes and comic-book stories. This is a compilation film which offers a distinctive representation of the North-East during World War I. The film’s centre is the Battle of the Somme which provided the key to funding. The première was held in the Sunderland Empire Theatre in July 2016, one hundred years on from the battle. This included live music and [I assume] live commentary. The film marries archive and contemporary film footage with a narration composed of both individual records and media reports. The film was directed by Esther Johnson, whose work crosses between art and documentary. The film was written by Bob Stanley, a musician, journalist and film-maker. The archive film was researched ait the British Film Institute and the Imperial War Museum and at smaller archives in the North East. The voices of the film are diaries, letters and oral records by a number of individuals during and after the war, living in the North East in or around Sunderland and Newcastle on Tyne. These were read on the soundtrack by Kate Adie. The media reports, from the ‘Sunderland Daily Echo and Shipping Gazette’, are read by Alun Armstrong. These are arranged mainly in chronological order but at certain points the film changes to contemporary footage and voices. I liked the film and found the interwoven stories fascinating. I was pleased that the film, in both black and white and colour, was in 1.33:1 so that the archive film footage was in its proper ratio. The contemporary footage, filmed digitally, is in the same ratio. The sound commentary by the two readers works well, interweaving official and public comments and reports with the personal and subjective. The characters whose stories are woven into this chronicle include several woman, a suffragist and a conscientious objector. Thus whilst there is a certain amount of valorisation of the war there are also critical voices. The editing for much of the film is excellent. There is cross-cutting between the official record and the subjective experience. And at certain points edits provide shock, pathos but also irony. However there are also weaknesses in the way the film material has been used. Understandably there is little or no film of the ordinary people whose voices provide the narration. For much of the film the makers use ‘generic ‘ footage which fits the voices. Some of this is familiar from other compilations or from screenings of the actual titles; some of it is new and fresh. However, in the later stages there are a number of combined image and sounds which I thought a little anachronistic. And there are two odd sequences in the centre of the film. Whilst we are watching and hearing the material on The Battle of the Somme there is a cut to several minutes of contemporary colour footage accompanied by a song. I think this is meant as a poetic counter-point but It seemed to me confusing. And shortly before this there was a sequence of shots which were repeated from earlier in the film and which [again] did not fit the narration. It was if a sequence had been transposed incorrectly, which may be to do with a transfer to DCP. For most of the film the music is appropriate and works well. The performers include the Royal Northern Sinfonia and two musical duos from the North East, Filed Music and Warm Digits. The musical interlude during the Somme is sung by the Cornished Sisters. They all perform very well. The Webpages for the film list screenings across the country; I saw it at the Hyde Park Picture House. The director was there for a Q&A, but I missed some of this so I am not sure if she discussed the form of the film. On November 11th, the anniversary of the Armistice Day at the end of the war, there is another screening at the Sage in Gateshead with live musical accompaniment. This will likely be the best way of experiencing the art work but it is worth seeing in the DCP version if that is accessible.